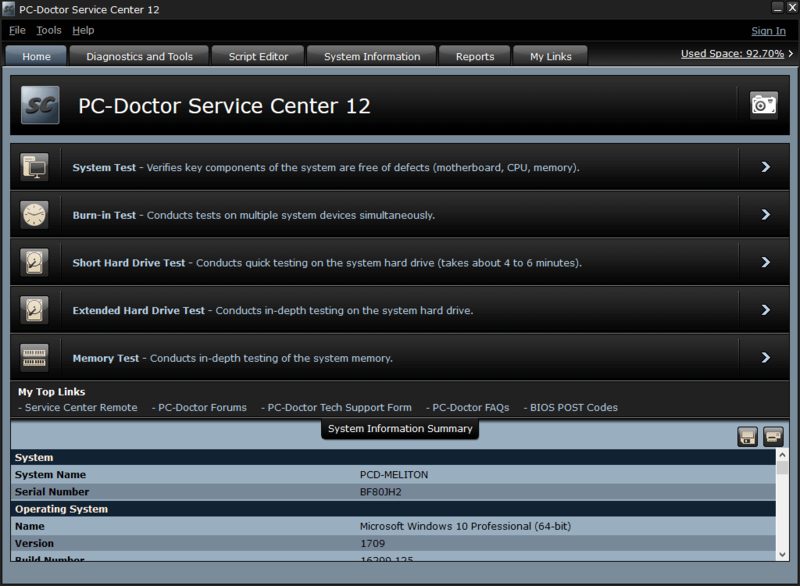 Service Center 12 provides the same PC-Doctor diagnostic tools used by the world’s top original equipment manufacturers to increase testing accuracy and troubleshoot more efficiently. Use Service Center to identify hardware issues—even intermittent ones—then complete your repairs and verify that problems no longer exist. 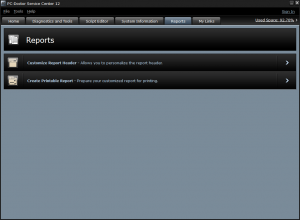 Service Center generates professional reports for your customers with your logo, technician and contact information, list of tests performed, and actions taken to fix issues, as well as a complete system inventory that includes system model and serial number. 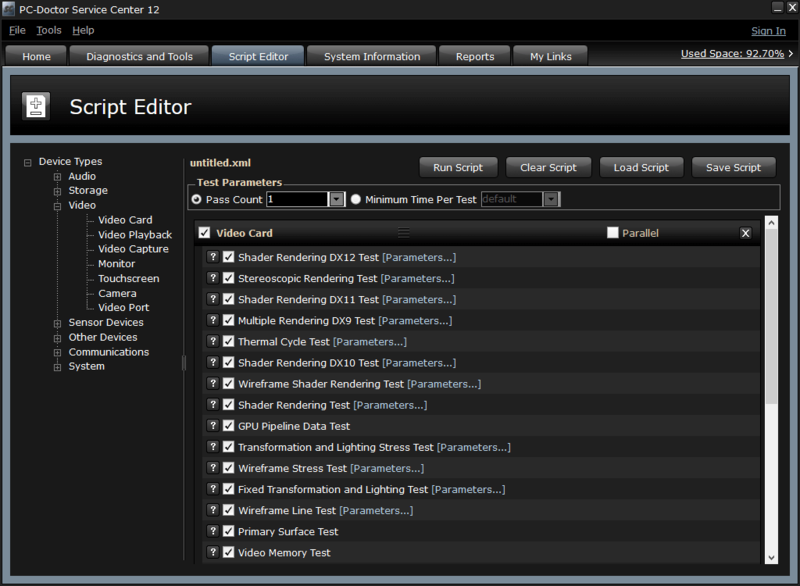 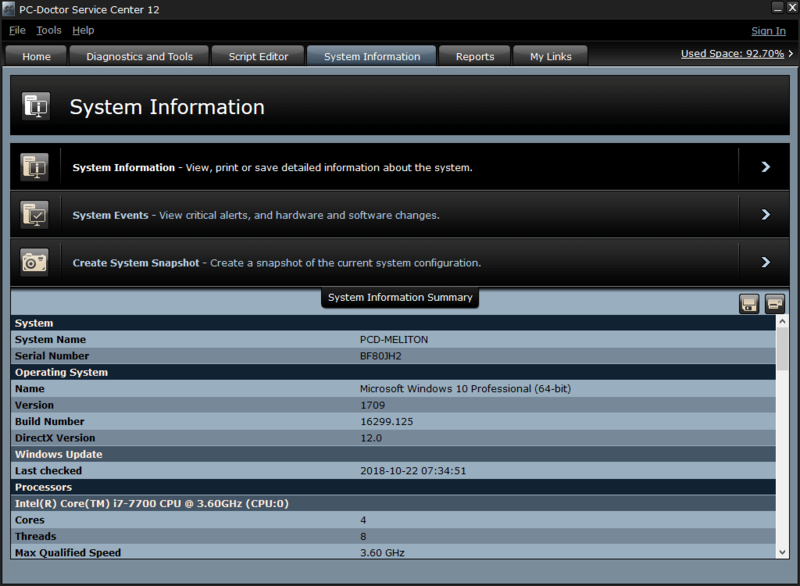 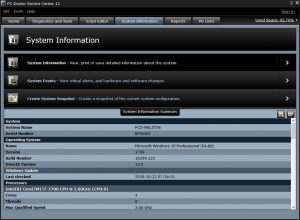 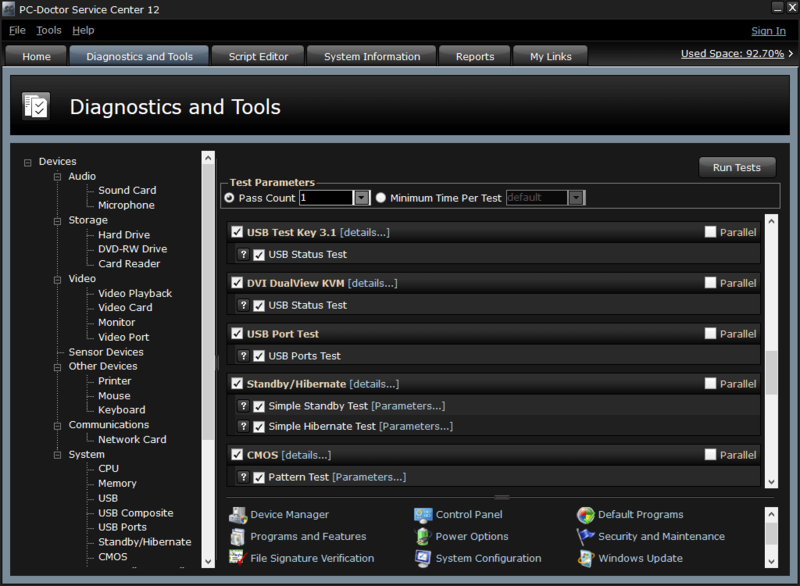 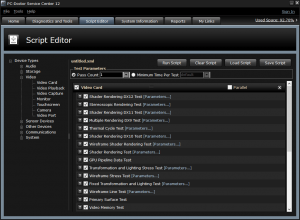 Service Center 12 significantly advances the capabilities of the PC, Android, and Intel-based Mac diagnostic kit used for years by repair depots, manufacturers, computer repair shops and other professionals to troubleshoot hardware issues. 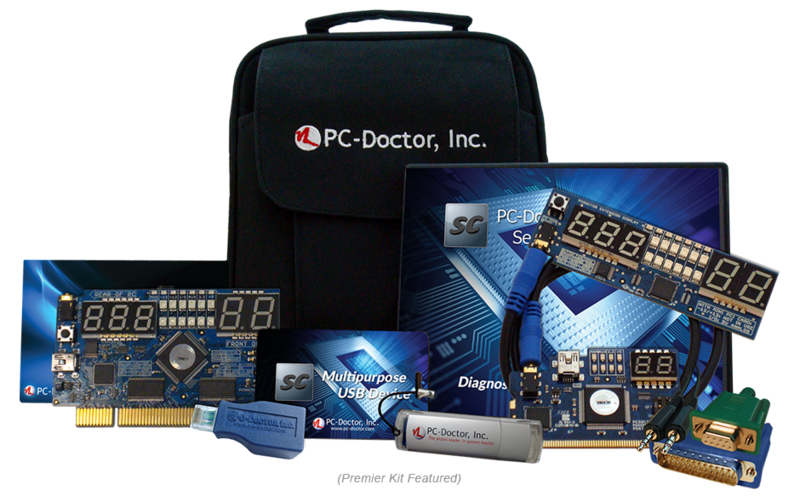 Each new release brings the most comprehensive diagnostics and system information in the industry, enhanced to cover the latest hardware, platforms and chipsets. 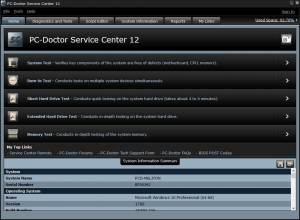 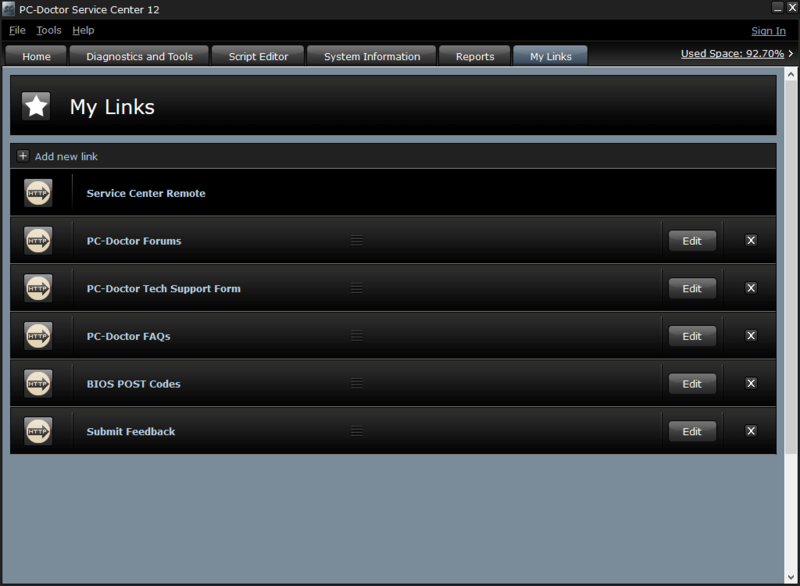 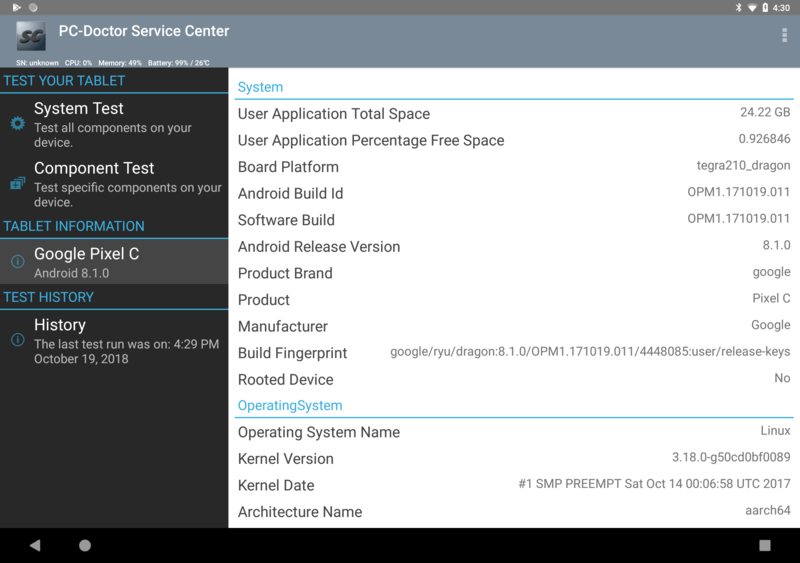 Service Center 12 provides four great diagnostic environments on a single USB key, allowing technicians easy access to Windows, DOS, and Bootable diagnostics— with Intel-based Mac and Android support. 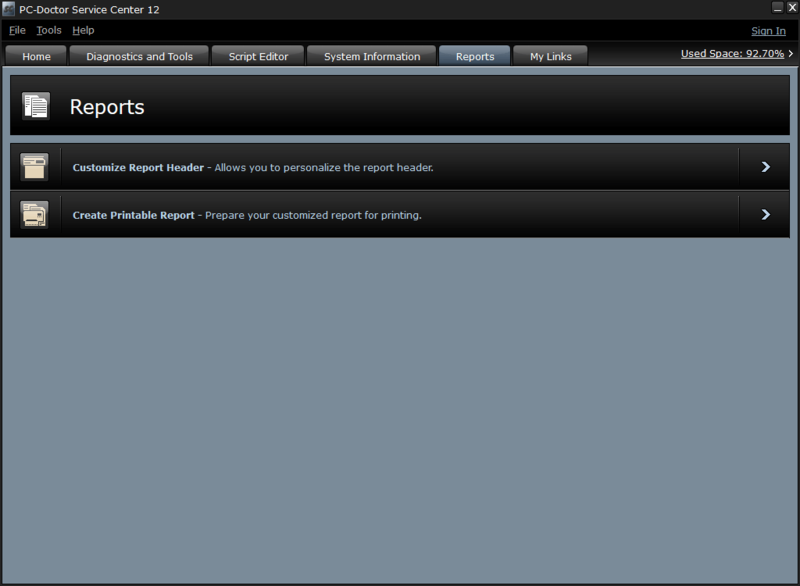 Snapshots that provide details of system changes can be included in Service Center’s customizable reports, along with the system serial number, your company logo, and helpful reporting information. 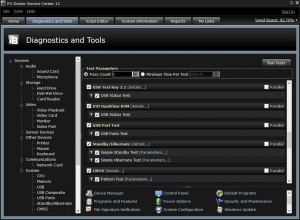 Diagnostic sessions from all four testing environments are easily combined on the USB key to give your customer a complete picture of testing performed. 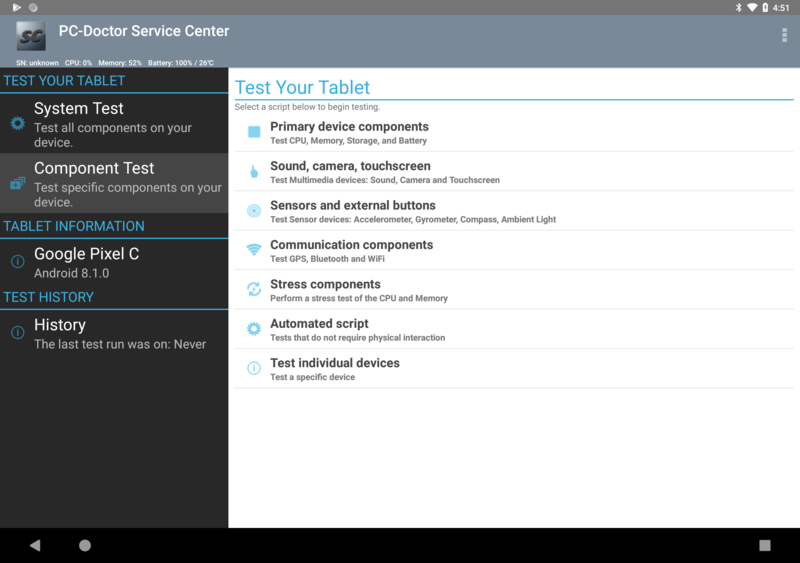 The Multipurpose USB Device indicates test status and stores configuration files, customizable reports, system snapshots, your customized links, Drive Wipe options and other useful information.